Amidst the Emmy drama earlier this week, the soap opera message boards and internet lit up with a rumor claiming that The Bold and the Beautiful supervising producer Ed Scott had left B&B and was returning to The Young and the Restless to replace Jill Farren Phelps. 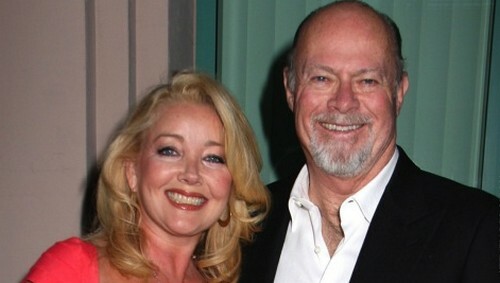 Someone claiming to be an insider began the rumor on a message board and claimed that JFP had been fired and Y&R was bringing back Ed Scott (Melody Thomas Scott’s husband) to produce the struggling soap opera, and Casey Kasprzyk was promoted and would be the new supervising producer. The rumor seemed too good to be true, so we reached out to a rep at The Bold and the Beautiful to get to the bottom of it. It turns out the self-proclaimed insider that started the rumor and worked Y&R and B&B fans into a frenzy this week, was seriously misinformed, or just suffering from a case of wishful thinking. The rep from The Bold and the Beautiful reassured CDL that their supervising producer Ed Scott wasn’t going anywhere — and that he was happily working on set as we spoke. The rep went on to explain that Casey Kasprzyk has been promoted to supervising producer at Bold and the Beautiful, but he is in no way replacing Ed Scott, they actually have more than one supervising producer on staff. We’re not saying Jill Farren Phelps won’t be given a dose of her own medicine and fired in the future, but if she is let go, the odds of Ed Scott leaving Bold and the Beautiful and returning to The Young and the Restless to clean up her mess are slim to none. The Bold and the Beautiful Spoilers: Thorsten Kaye, Sean Kanan, and Don Diamont Competing For More Airtime in Diva War? The Bold and the Beautiful Spoilers: Deacon and Hope Meet – Will Ridge Return and Choose Katie Or Brooke? The Bold and the Beautiful Spoilers: Which Couple Get Married In July – Hope and Liam, Ridge and Katie, or Brooke and Bill?